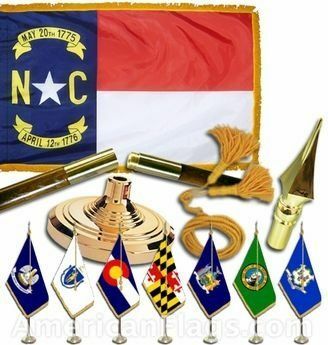 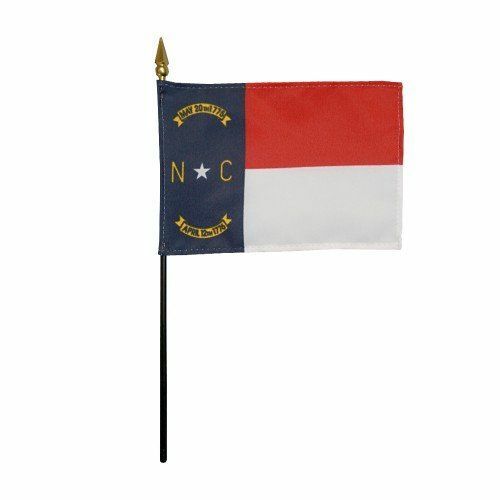 AmericanFlags.com is proud to carry North Carolina State Flags in a variety of materials, and styles, in sizes ranging from 4 IN X 6 IN to 12 FT X 18 FT. All of our North Carolina flags meet official specifications, are on sale right now and are ready for immediate shipping to your door. 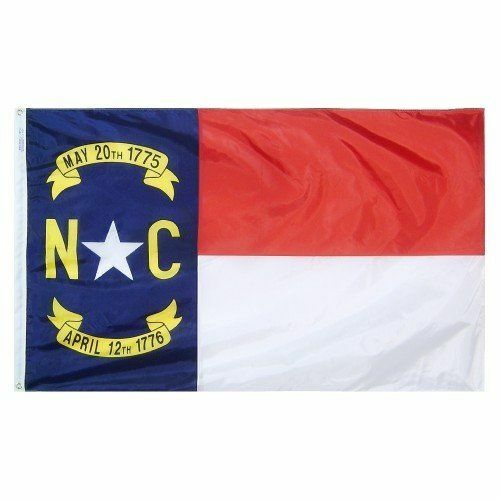 Adopted as the official state flag of North Carolina in 1885, this red, white and blue flag features the letters NC for the state’s name along with a white star, and two yellow scrolls inscribed with dates. 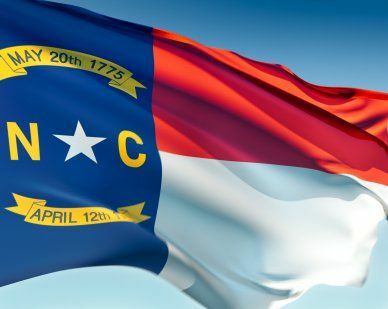 The date that appears on the top scroll, May, 20, 1775, commemorates the Mecklenburg Declaration of Independence, which was named for North Carolina's Mecklenburg County, where citizens met to declare their freedom from the British. 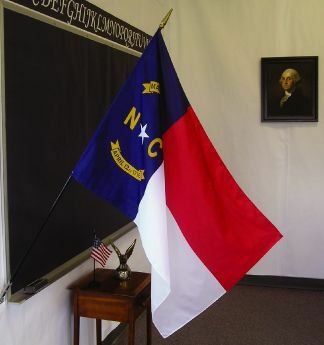 The original document was destroyed and some question its existence. 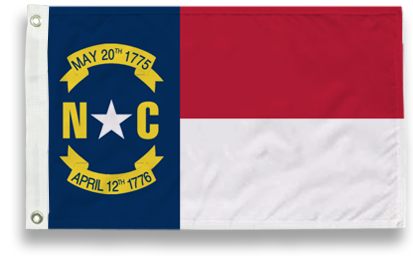 The date that appears on the bottom scroll, April 12, 1776, honors the Halifax Resolves, which was the first official act by one of the colonies calling from independence from the British.